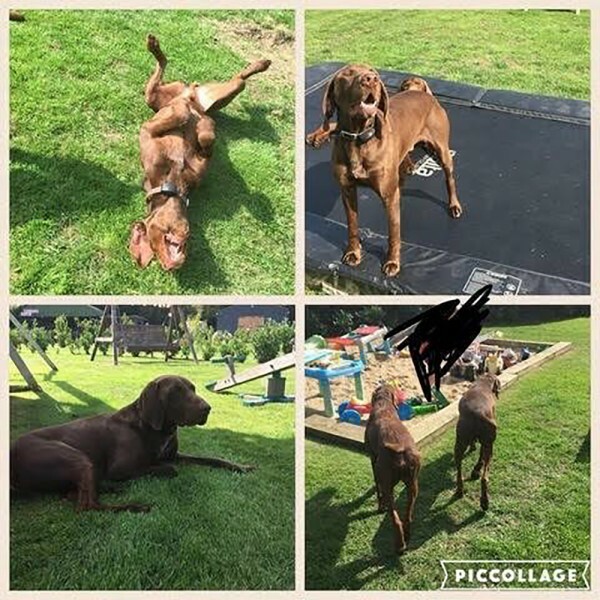 We are looking for active homes for these handsome 2 year old GSP cross GWP brothers. They are being rehomed because recently they escaped from their garden and were caught chasing sheep. The farmer has said that both dogs must be rehomed so that there will be no further incidents. The boys have been living in a very large garden where they have been kennelled outdoors. They haven't routinely been walked because of the amount of space that they have, which means that they haven't been as socialised as many dogs. 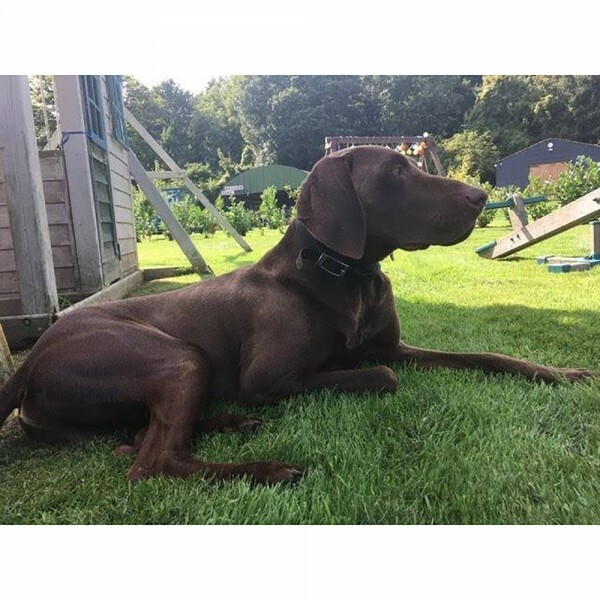 Kevin is happy being around the 12 year old Jack Russell and the 14 week old Beagle pup also in the family, he is generally fine with other dogs, but if his brother Bo starts barking at another dog then Kevin will join in. He will chase cats and as above can not be trusted around livestock. 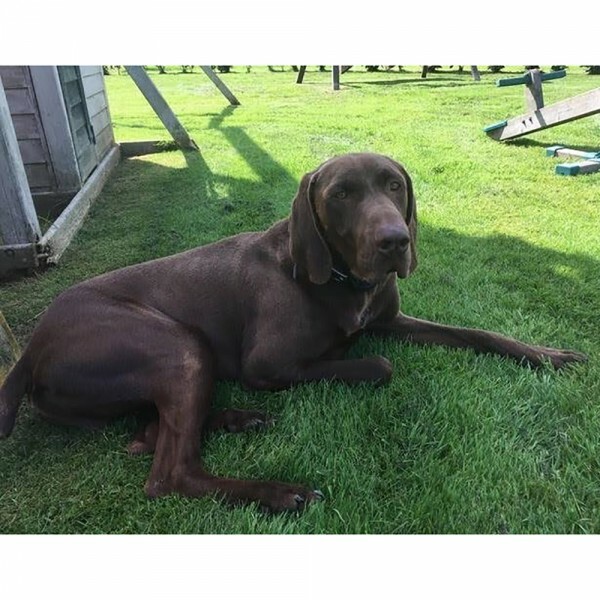 Kevin is amazing with the children, he is currently living with children aged 4, 7 and 9 years and is gentle and loving around them, he loves attention and loves to be close and touching his owners, he will put his paw gently on them for more attention he is a very quick learner who loves being with you. Kevin does have a good recall in the garden and always comes as soon as he is called, but this hasn't been tested outside the garden. He travels well in the car, just sitting and then laying down, as a pup he was car sick once but not since then. 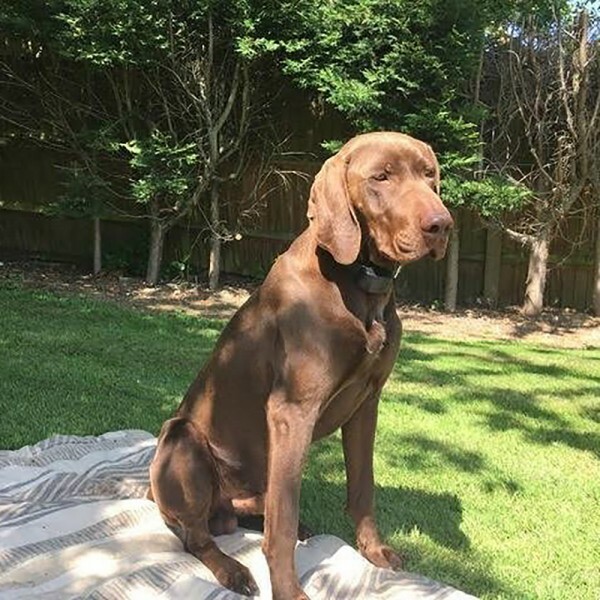 He is neutered and is a happy healthy young boy who needs an owner who can introduce him to the world outside of his young family and garden..
Kevin is currently in Kent and will be rehomed with our 5 weeks free insurance with Agria and our Rehoming Contract.